The Model 3, Tesla’s mid-market, all-electric sedan includes several unusual features, such as no gauges on the dashboard: No speedometer, no tach, no mileage readouts, no sound system controls. 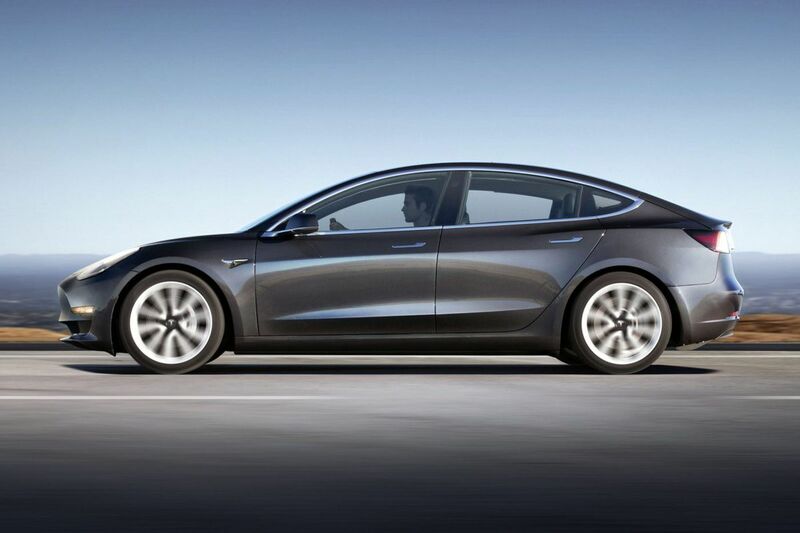 SAN FRANCISCO — The Model 3, Tesla's mid-market all-electric sedan, officially launched in late July, includes several unusual features. For example, no gauges on the dashboard: No speedometer, no tach, no mileage readouts, no sound system controls. Not a single button, lever, or dial. Every bit of information that would reside on the dash — in any normal car — and almost all the user inputs are gathered on a single 15-inch touchscreen mounted up front between the driver's and passenger's seats. The rest of the dashboard is bare. Some might find that minimalist setup to be cutting-edge cool. Some might find it too barren for a car that, fully loaded, costs $60,000. Some might find the touchscreen crowded and confusing. Others will see the new instrument panel as reflective of the way they lead the rest of their digital lives. The marketplace, ultimately, will judge just how effective the new layout is. The interior of the Tesla Model 3 features a single touchscreen as it’s only display. Each Model 3 comes equipped with eight cameras, a radar unit, and 12 ultrasonic sensors. Triggering the software to make Enhanced Autopilot driver-assist technology work costs $5,000 on top of the base price of $35,000. That includes adaptive cruise control, automatic lane changes, automatic freeway exit, and self-parking. Full self-driving software can be flipped on for another $3,000. The feature is not currently available. The company calls it a "future" option. The timing depends in large part on laws that would allow such cars on the highway. Congress is considering legislation that would allow autonomous cars on the road, superseding state laws that ban them, or, as in California, allow them but with numerous restrictions. The feature is also "dependent upon extensive software validation," Tesla said. For another $5,000, a "premium upgrade package" includes a glass roof, which adds more light to the cabin along with a feeling of spaciousness. Tesla says the roof includes "ultraviolet and infrared protection" in a nod to potential buyers concerned about too much heat or heightened risk of skin cancer. The base model includes WiFi and LTE connectivity with internet streaming radio. The same $5,000 package that includes the glass roof also buys a higher-quality sound system. A new music-streaming service that Elon Musk said Tesla will create to compete with Apple and Spotify doesn't exist yet, but would surely be available in all Tesla vehicles. Musk has said the company saved costs on the Model 3 in part by providing only one touchscreen rather than two. But buyers can use their smartphone as a second screen for a Tesla app that will let them set climate controls before exiting the house, and replace the car key. A wallet-sized chip card serves as a valet key, or a backup, in case the owner forgets her smartphone.